It’s always exciting for women entrepreneurs to be able to partner up with fellow successful brands. 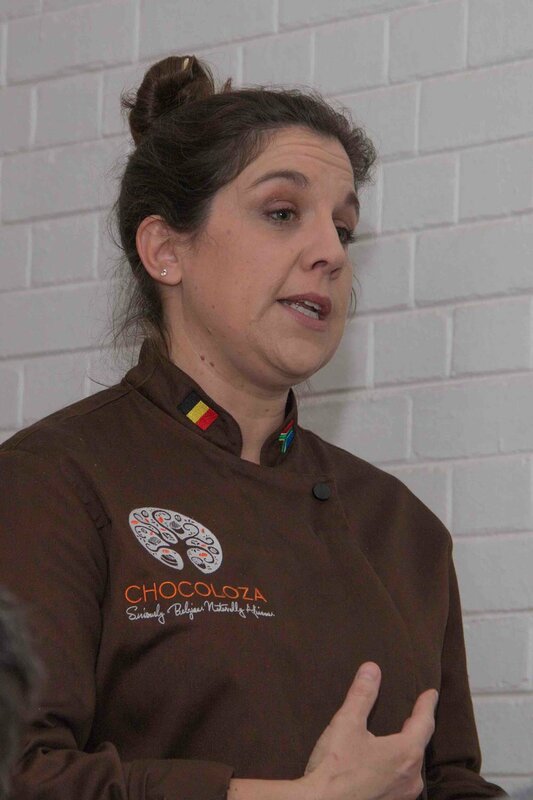 So, following on from the excitement of Katannuta Diamonds’ chocolate diamond collaboration with leading South African artisan chocolate brand Chocoloza in June last year, the two brands came together once more to host another exciting evening in November. This time, the theme was Ruby X Ruby - a focused collaboration inspired by rubies - ruby chocolate and ruby jewellery. Eighty years after white chocolate was announced as the third chocolate group (after milk and dark), renowned chocolate group Callebaut announced a fourth type of chocolate - ruby. With a vibrant pink colour and a distinctive, intense taste, ruby chocolate has been a hit the world over. 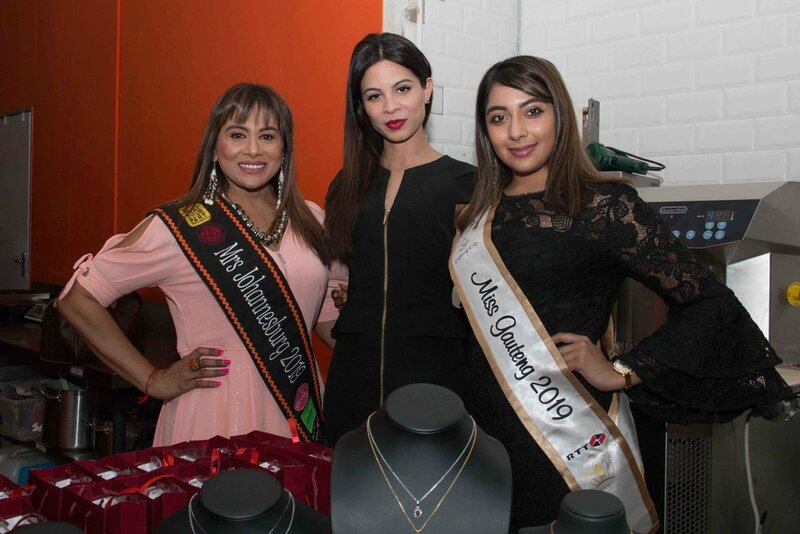 As one of the few chocolatiers in South Africa to supply ruby chocolate, Chocoloza hosted a fun evening of ruby chocolate tasting and ruby jewellery shopping. Master chocolatier Vicki Bain and her team created some bespoke gold and ruby chocolates, with luscious, creamy fillings, available only to Katannuta Diamond invitees for the night who were hosted by founder Clare Appleyard. Guests at this unique event included fellow Lionesses of Africa entrepreneurs, Dr Levashni Naidoo of The Dermatology Room, Candice Pillay of Hogan Lovells, Meredith Kelly of Volkswagen and Shamila Ramjawan, together with her daughter Daksha, of Famram Solutions (and the Princess D Menstrual Cup). On display were some of Mozambique’s finest rubies, set in glamorous rings, earrings and pendants. Rubies were only discovered in Mozambique in 2009 and, in the last 9 years, have grown immensely in popularity due to their exceptional colours and clarities. Showcasing Africa’s best coloured gems alongside South Africa’s best natural flavours was a natural synergy and guests left with a better knowledge of both brands and their uniquely African products. If you haven’t yet tried ruby chocolate, visit Chocoloza (at 44 Stanley or Dainfern Square) to sample their delicious lemon ganache-filled ruby chocolates or indulge in a decadent ruby hot chocolate. And, if you’re a lover of all things red, Katannuta Diamonds has an extensive range of Mozambican ruby jewellery now available, including earrings, rings and necklaces. Schedule your personal appointment with them today to find your perfect piece.